UBS Analysts out with their expectations from the ECB monetary policy meeting due on the cards this Thursday. “We expect the ECB to announce ... it will cut its monthly asset purchases from €60bn to €30bn as of January, with a commitment for nine months, i.e. until end-September 2018. We think the ECB will leave open whether it will extend QE after September and hint that this decision will be taken in a data- dependent fashion, closer to the time. 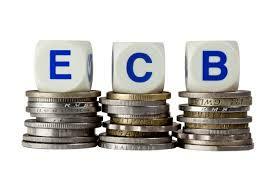 We believe the ECB will maintain a QE easing bias, indicating that it will stand ready to scale up QE again in the event of negative shocks. The ECB will likely reiterate that, in addition to the monthly asset purchases, maturing securities of its QE portfolio will be reinvested for the foreseeable future, and stress their quantitative significance. As part of its interest rate forward guidance, the ECB is likely to reiterate that key interest rates are likely to stay at current levels "for an extended period of time, and well past" the end of QE. We think the Bank will once again commit to maintaining a "very substantial degree of monetary accommodation" in order to bring inflation back to the target. According to our base case scenario, the ECB will bring QE to a close by end-Sept, but we acknowledge the "risk" of a moderate QE extension during Q4 2018. In line with the ECB's guidance, we expect key interest rates to be hiked only after the end of QE, most likely as of 2019.